On the first break of the day, we surveyed the chip stacks in the tournament and found our largest stack at table 36, seat 1. 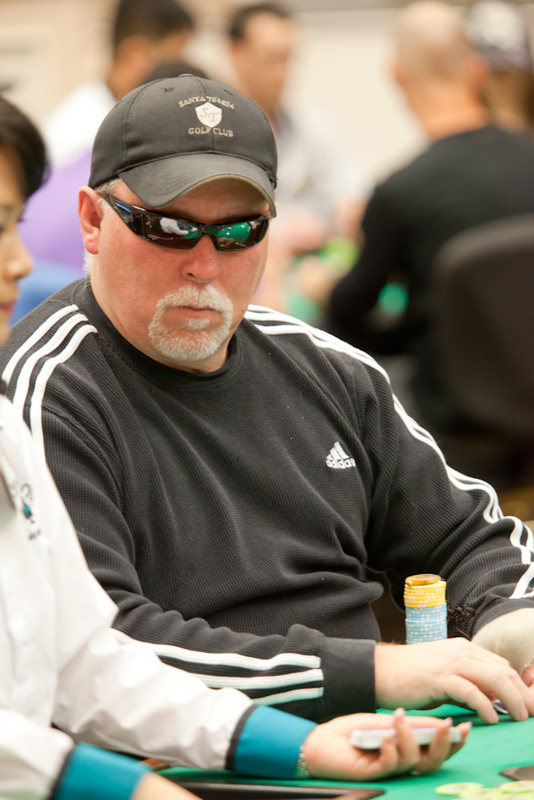 When level 4 began, we found out that the 32,150 chips in that stack belonged to Andy Borrego, shown above. We will check back in with Andy to see if he can hold his lead through this tough field.